According to reports from RT.com Kofi Annan, a miserable (but very willing) stooge of imperialism, today declared that “The longer we wait the darker Syria’s future becomes…the time to act is now”. Any anti-imperialist will know precisely what kind of action Annan and his backers will be prepared to unleash when their not-so-covert attempts at regime change in Syria fail. Thankfully the anti-imperialist Syrian government, headed by President Assad and backed by a number of communists and progressive forces inside Syria are also well prepared for any provocation. “The plane crashed into Syrian territorial waters earlier today, according to reports. A missile shattered it to pieces after which the missile plunged into the Mediterranean Sea. 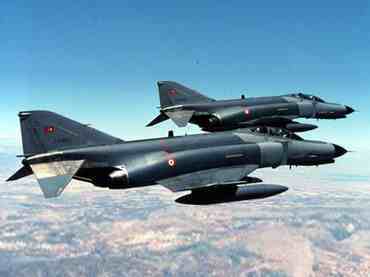 The two pilots were later saved off the shore of Hatay, a south eastern province bordering Syria. Syrian vessels have joined a search operation, which was launched immediately after the Turkish military lost radar and radio contact with the jet. The planes took off from Erhac Airport in the eastern province of Malatya at 10 a.m. local time. Relations between Ankara and Damascus have been marred by Turkey’s open support of the Syrian opposition, which is seeking to topple the government of President Bashar Al-Assad. On Friday, Turkey denied the Syrian government’s accusations that it is supplying rebels with arms. Regardless of whether the latest news reports turn out to be true, support for Syria in its life-and-death confrontation with imperialism is an acid test for the working-class and anti-war movements. Yet in its call for an anti-Nato protest outside the US embassy, the ineffectual and rapidly declining Stop the War Coalition (StW) has once again avoided any mention of this frontline country. This is because those who have hijacked the anti-war movement in this country – misleaders like ‘left’ Labourite Jeremy Corbyn and Trotskyite John Rees of Counterfire – actually support imperialism’s aim of ‘regime change’ for Syria, differing only in the methods that should be used to bring it about, and the revisionist CPB cravenly goes along with them.